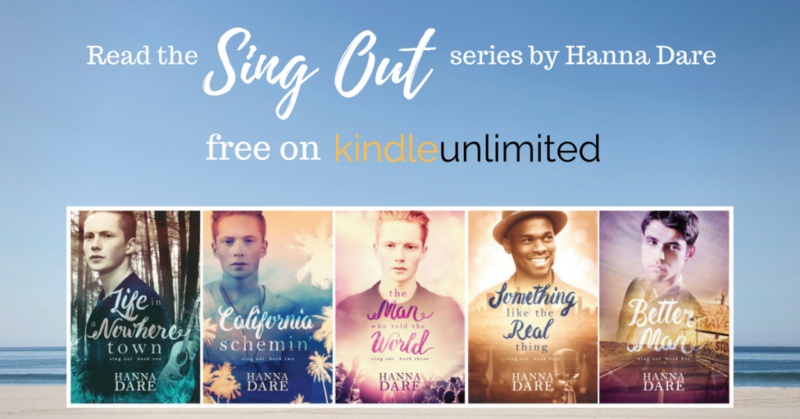 The Sing Out series is now available for Kindle Unlimited! This is the first time Something Like the Real Thing and A Better Man have been on KU. It’s a great time to catch up or binge read the entire series. For non-KU subscribers all the books are still available through Amazon. Start with Life in a Nowhere Town – it’s only 99 cents!